Hi and welcome! This is Black Saliva, a style focused blog written by Viivi Vanessa R.
I'm a 24 year old girl from Helsinki, Finland and this blog is my own little space on the internet where I can share my thoughts, outfits and write a bit about my life and stuff that I do. For first timers, I'd say take a quick look at ABOUT ME and get to know me a little before browsing through my posts. Anyway, I hope you like my blog and leave me a comment. THIS BLOG HAS BEEN ARCHIVED! Follow me on Instagram @kisumaikuchuuru or check my homepage to find out what I've been up to recently. Thanks for reading Black Saliva during 2008-2015. ToFebruary.com lähetti mulle testattavaks muutaman rannekorun jokin aika sitten. Oon näitä nyt muutaman viikon käyttänyt ja hyvin on kestänyt ! Valitsin ite vaan ton vasemmalla alhaalla olevan ja muut sain mukana, tuli sattumalta onneks ihan mun tyylisiä :D Eli iloinen olin kun posti toi nää, rannekorut (ja korut yleensäkin) on sellasia joita oon kauheen huono ostamaan vaikka niitä haluunkin, en tiiä miks. ToFebruary.com sent me some bracelets for a review while ago. I've been wearing these for few weeks now and the quality is great ! I chose the bracelet on bottom left myself and got the others with it too, they all happened to be for my liking :D So I was happy when the post brought these to my place. I'm bad at buying bracelets (and jewelry in general) even tho I want to have them, dunno why. Tässä vielä toinen kuva näistä käytössä ! Here's another pic of me wearing them ! Those look good on you, you have the exact right style for it. i know right? ;--D thank you ! yep ! 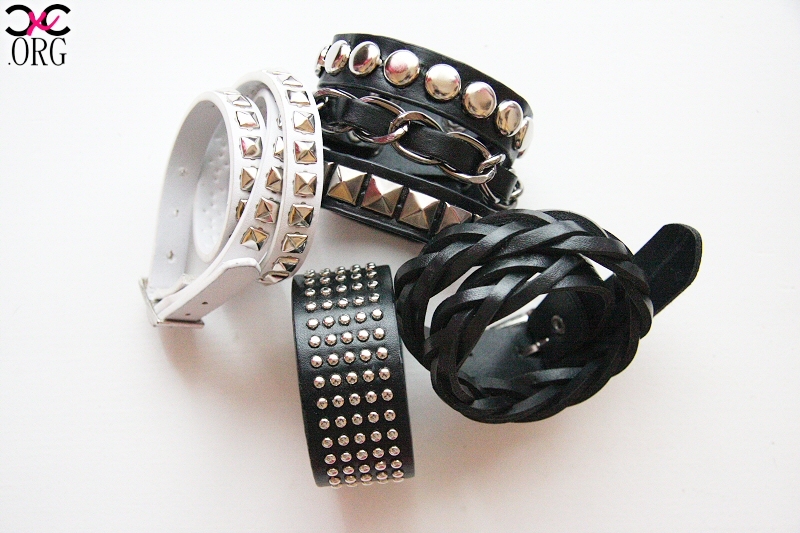 the white one is really nice, because everything else (even tho ones i had before XD) are all black, hahah. Perfect nails and the bracelets are so cute! the white and the braided one are perfect! I really love your blog & your style. i was going to say the second lowest on left and the top one on right are the best looking, but realized the three lowest on left are actually one whole bracelet? so i'm not so sure about it anymore but the top one on right is very stylish, it looks like it can be combined with many things, it's flashy but still toned down and can create a sophisticated look. yep, the three on the bottom left are one bracelet, that's what makes it cool i think :) thank you ! Those nails! ;-; The bracelets looks so nice! 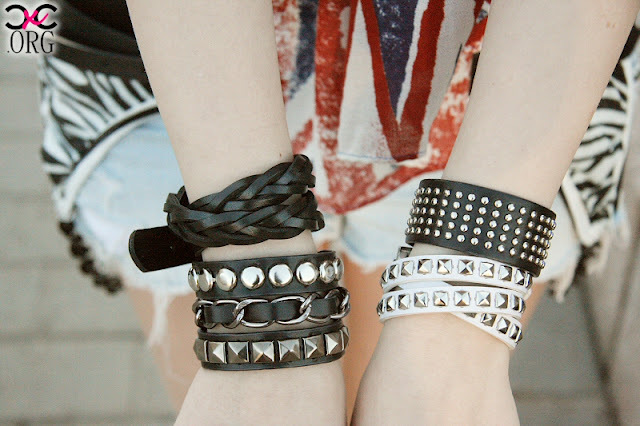 I´m also looking for some bracelets like these ones .-. It´s hard to find a really good one. on muute jännä miten sun tyyli on muuttunu semmosesta värikkäästä ja "yybertyttömäisestä" tämmöseks hmm..rokahtavaks ja mustanpuhuvaks(?)! mut ei siin, tykkään nimittäi ihan sikkenä! thank you ! i've already made tutorials, maybe there's more coming later, i just need someone to film them ! Isoroballa on ollut Kippo jo vaikka kuinka kauan aikaa..
That website has amazingly cheap items! Makes me wonder if the quality is okay and if the sizes would be too small for me. Do you find the items you recieved are good quality Vivi? I'll try to answer to your questions as soon as possible.